Looking for an Elliptical Cross trainer? Clever Fitness at Cambridge Park Tasmania offers a large range of ellipticals for every budget. We source cross trainers that are reliable, come with industry leading warranties and most importantly are built to standards that keep the user in an ergonomically correct position, reducing any unnecessary stress on the body. 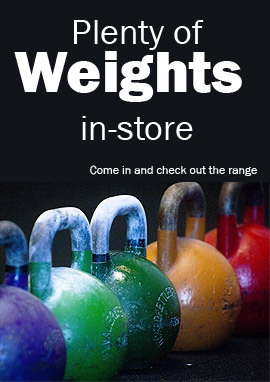 Come down to Clever Fitness and let our expert staff find the right cross trainer that is a perfect fit for your natural movement and budget.